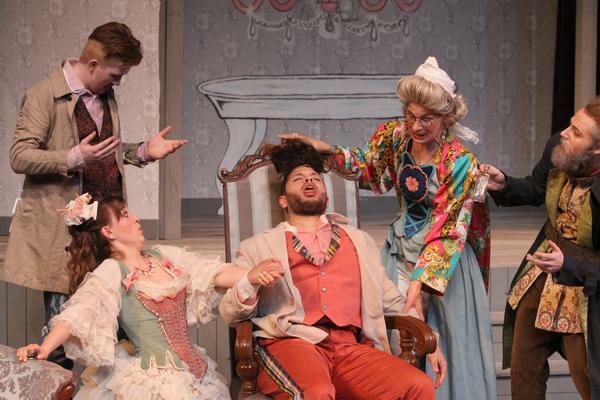 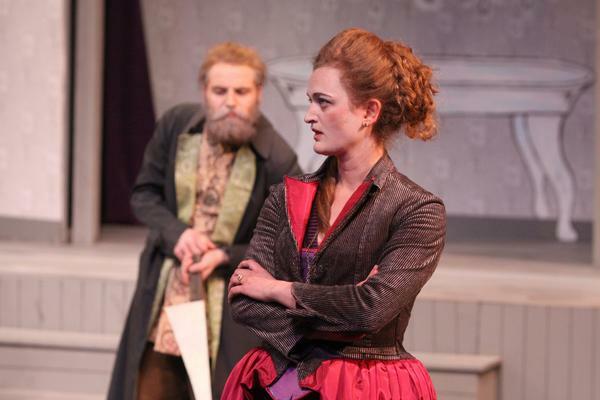 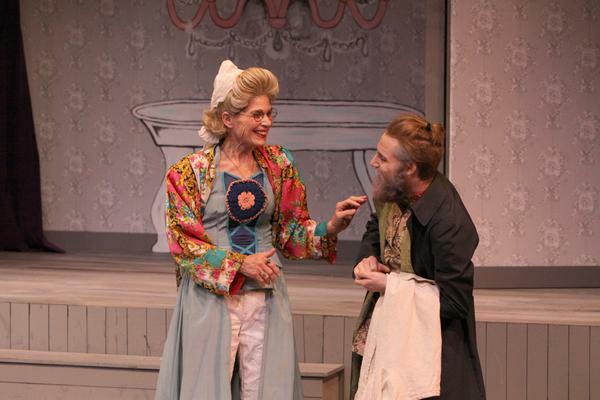 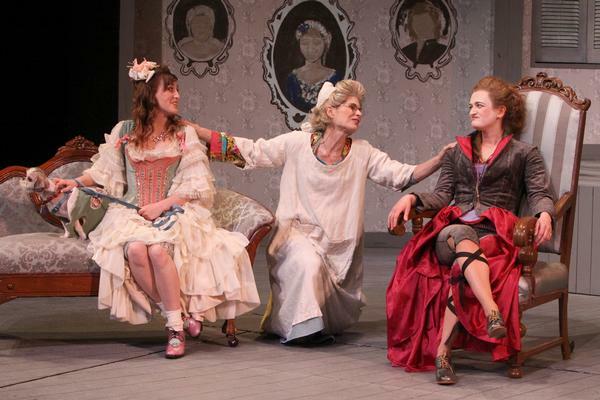 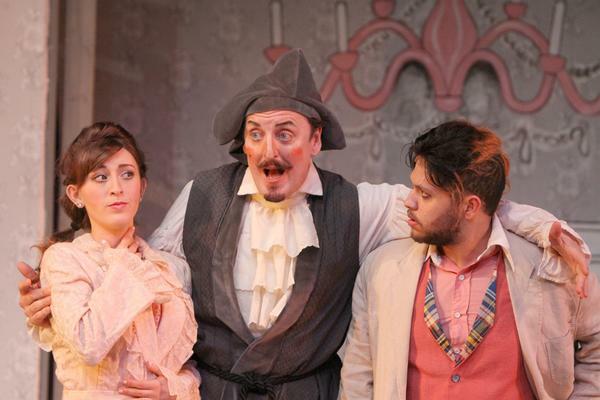 Wabash College will say farewell to a pair of beloved performers and welcome new talent when the Theater Department’s production of The Beaux’ Stratagem opens Wednesday in the Ball Theater of the Fine Arts Center. 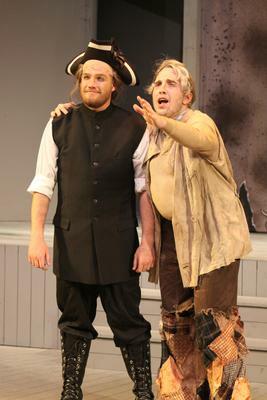 Talented actors Patrick Kvachkoff and A.J. 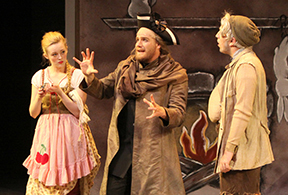 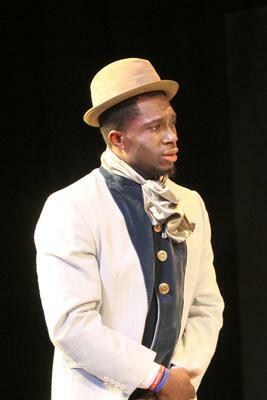 Akinribade take to the boards for the final time in this classic Restoration Comedy, which runs through Saturday at 8:00 p.m. each evening. 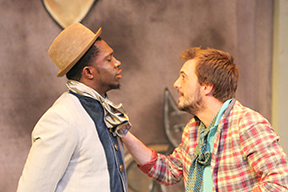 The story follows two young men as they travel the countryside in search of women and money. 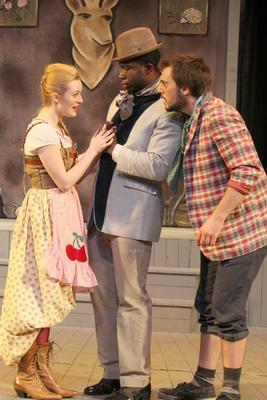 Freshman Zach Anderson plays Jack Archer, a smooth-talking lady’s man, while junior Donovan Whitney plays his sidekick, Tom Aimwell. 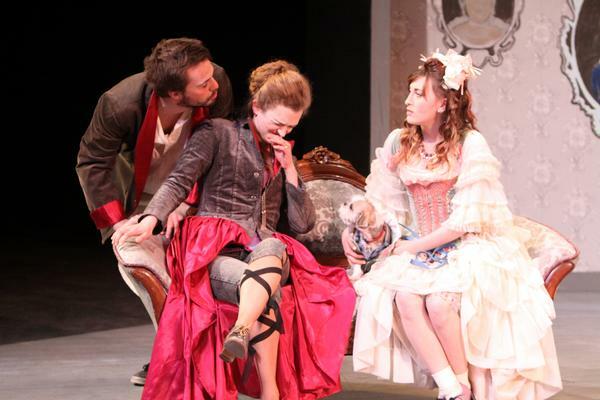 The duo take turns playing the part of master and servant as they move from town to town, wooing wealthy young women. 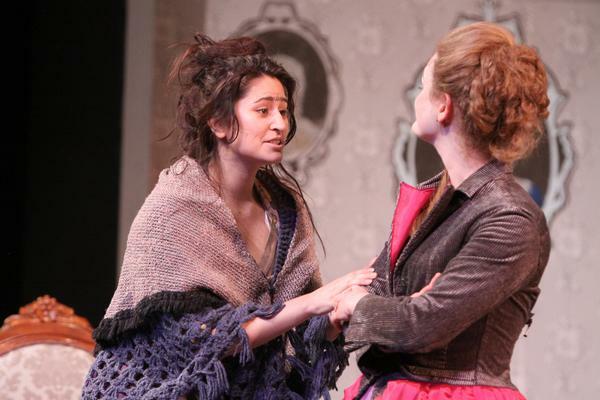 The women in the sights of Archer and Aimwell include a pair of Crawfordsville High School students. 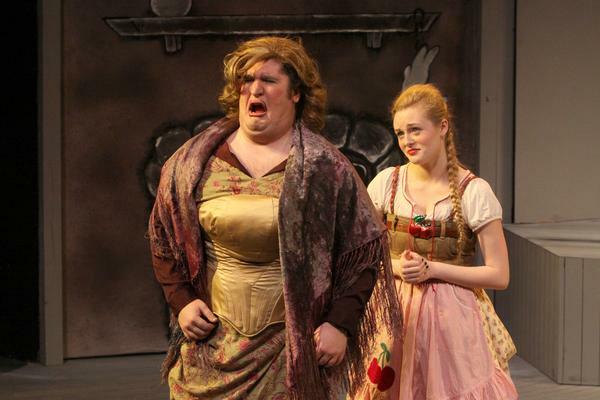 Sammie Amidon plays Cherry, the innkeeper’s daughter, and Elizabeth Hutson plays Dorinda. 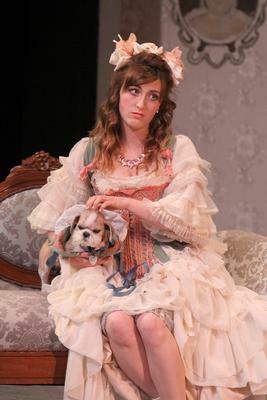 Brea Carlson plays the very proper (and very unhappy) woman of the manor, Mrs. Kate Sullen. 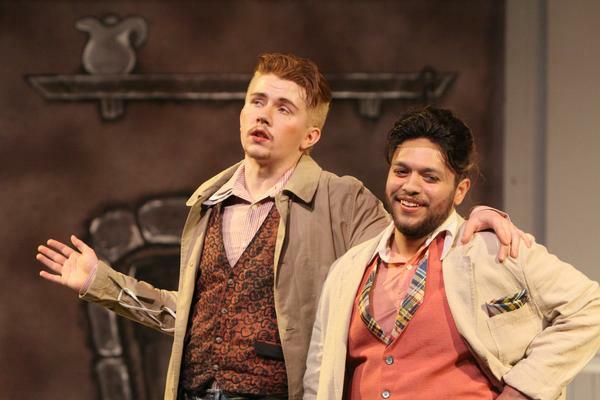 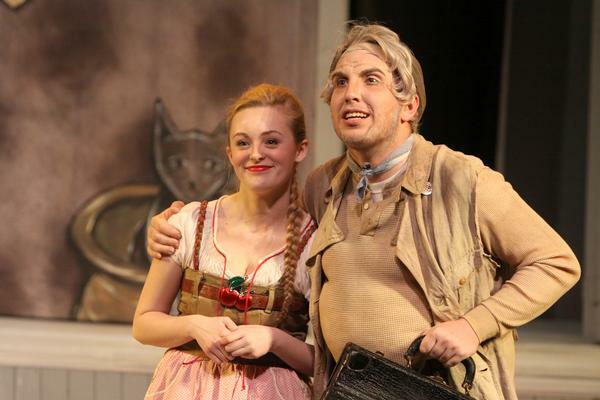 Kvachkoff closes out a brilliant theatrical career at Wabash as the drunken Squire Sullen, who hates his wife Kate and spends his life as a pub sloth. Anderson, playing Archer, does his best to split up the sullen Sullens in a wild comedy full of laughs. 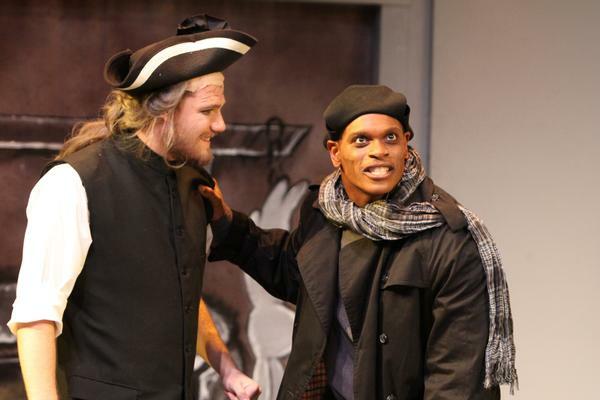 Akinribade, the hard-hitting all-conference linebacker of Wabash’s football team, also wraps up his time on the Wabash stage as Sir Charles Freeman, Kate Sullen’s brother, who steps in near the end of the play to court Cherry and bring about a happy ending for nearly all in the cast. 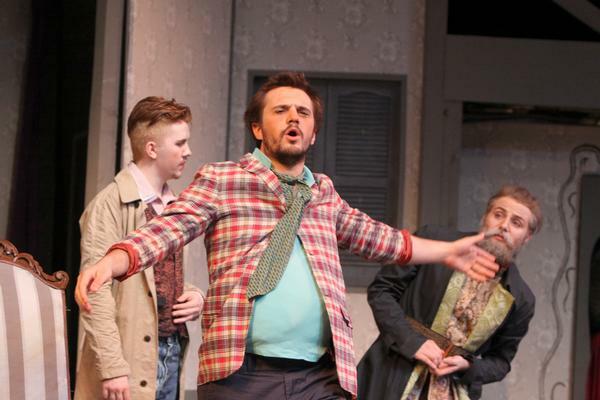 The play’s third senior, Zach Boston, makes his stage debut in a hilarious bit part. 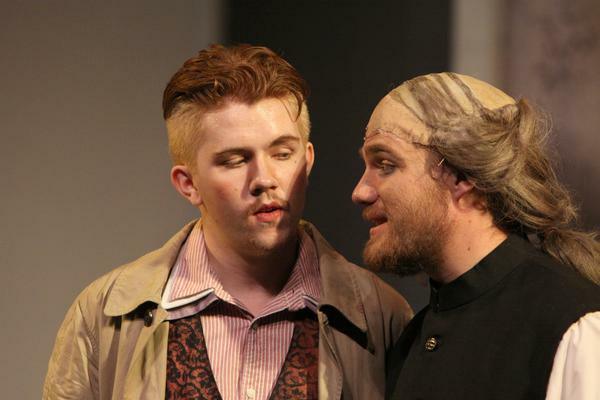 “Zach Boston shines — I wish we had gotten to him sooner,” said Watson. 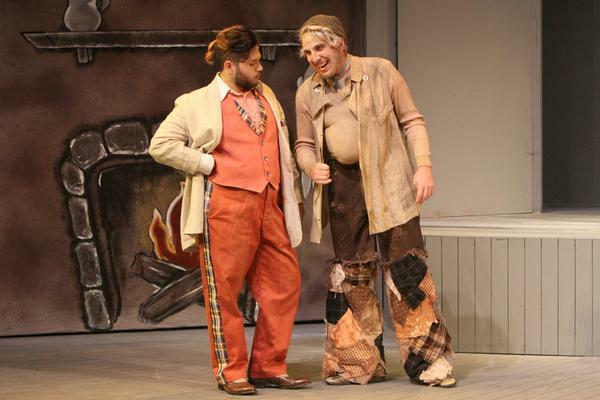 Andrea Bear designed the set and costumes, while Cody Grady managed set construction and technical direction. 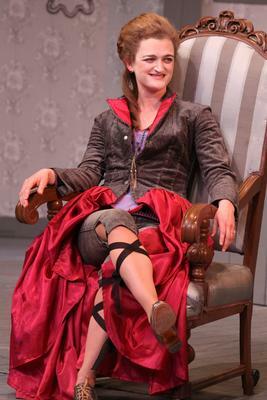 The stage manager is Abigail Tomlin. 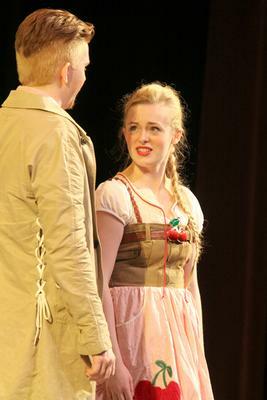 Tickets are free and can be reserved by emailing boxoffice@wabash.edu or phoning 765-361-6411. 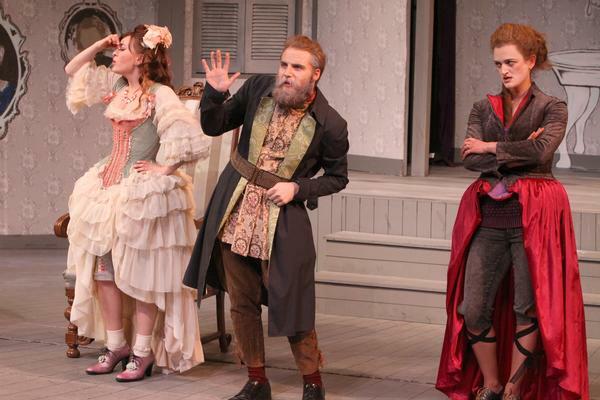 The cast of The Beaux’ Stratagem includes: A.J. 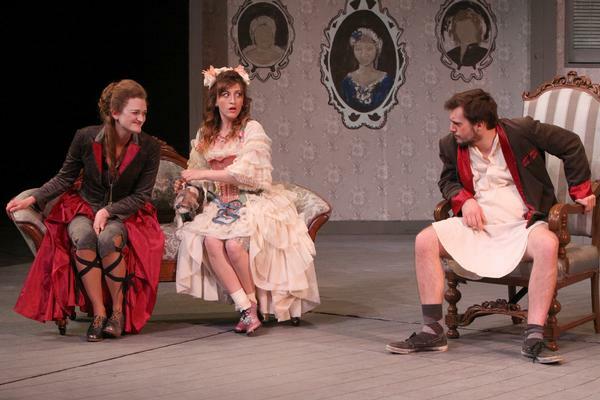 Akinribade as Sir Charles Freeman; Sammie Amidon as Cherry; Zachary Anderson as Jack Archer; Zach Boston as A Lady; Brea Carlson as Mrs. Kate Sullen; James Cherry as Foigard; A.J. 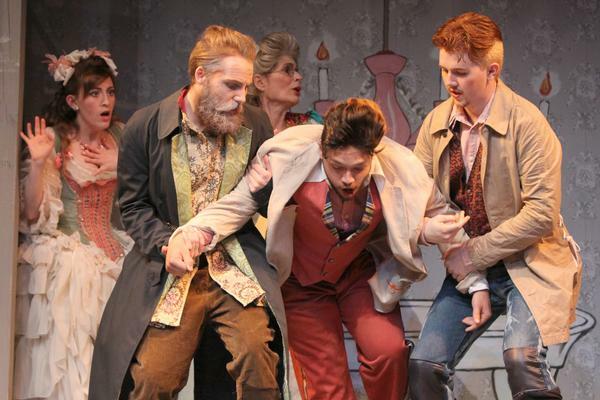 Clark as Hounslow; Natalie Coronado as A Country Woman; Jared Cottingham as Boniface; Noah Eppler as Gloss; Elizabeth Hutson as Dorinda; Patrick Kvachkoff as Sullen; Griffin Levy as Daniel; Daniel McCarthy as Bagshot; Nathan Muha as Scrub; Aaron Stewart-Curet as Servant; and Donovan Whitney as Tom Aimwell.